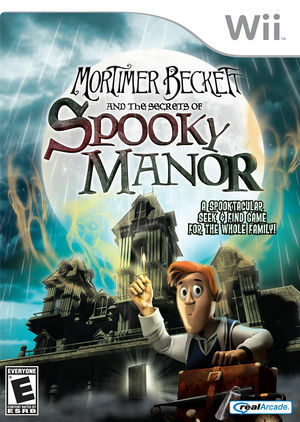 In Mortimer Beckett and the Secrets of Spooky Manor hunt the halls of the Beckett family mansion in search of mysterious hidden objects and solve a series of brain-bending puzzles to uncover the Spooky Manor mystery. What is this strange machine? Who shattered it into pieces? And what happened to Uncle Jerome? Only those with a keen eye for details will discover the answers hidden in Spooky Manor! The graph below charts the compatibility with Mortimer Beckett and the Secrets of Spooky Manor since Dolphin's 2.0 release, listing revisions only where a compatibility change occurred. This page was last edited on 13 January 2018, at 12:50.